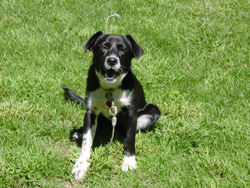 Bobo is a sweet lovable Border Collie mix puppy. Bailey, formerly Bell, was adopted in December last year but is being relinquished due to a new baby soon to arrive. She loves being with people, loves other dogs. She would be happiest with a stay at home with a fenced in yard. She's housebroken and has received some training. Owner says she recently bonded with husband while he was out of work and has slight separation anxiety when he leaves the house. She is a gorgeous dog and has a wonderful personality. 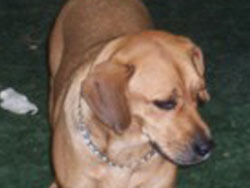 We would really like to place Bailey in a home with another dog. 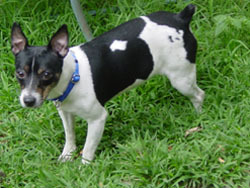 Stanley is a small male Jack Russell. He seems to be a couple years old. He was found as a stray in NYC and was neutered prior to arrival at rescue. He seems like a nice dog. 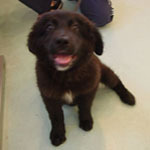 Lady Mae was brought in because of housebreaking issues. She is about 2 years old good with children and other dogs. She weighs about 30 pounds and is spayed. Angel is about a year old with a very sweet temperment and seems to be housebroken. 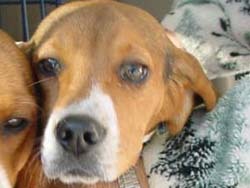 From Angel's Rescuer: I rescued Angel from going to the pound. Someone abandond her by tieing her to a tree. It was so sad. It was pouring the rain that day. I wrapped a blanket around her and took her to my moms.Angel liked to play ball. I had a small rubber ball she liked. I would show it to her and throw it to her. She would run and get it and bring it back and drop it in front of me. The day I took her to her foster home, she laid beside me with her head in my lap. She is quite smart. Thanks for taking such good care of her. I would love to have updates on her.